If you are on vacation in Bansko and you haven’t yet visited some of the houses of the National Revival period, you have missed a lot. We are telling you this because here and only here, you can get familiar with the unique architecture of the fortified houses in Bansko. You don’t have to be an expert to notice how interesting is the architecture of the houses of the National Revival period in Bansko. It is just enough to walk through the old neighborhood of the town, in the square around the church „Saint Trinity” and you will see various examples of the fortified house in Bansko such as the Buinova old house, Velyanova old house, Molerova old house, Beninata old house, Sirleshtova old house. All these houses are built during different periods of the National Revival period, but they all have specific architectural features that distinguish them from all other houses of the National Revival period that you can see in other parts of the country. The fortified house in Bansko was created as an architectural style in the XVIII century, during the time when Bansko became a rich settlement with developed trade and crafts. In order to protect their families and properties, the people in Bansko started to build well-fortified stone buildings, surrounded by 3-meter stone walls with battlements. The houses had secret hiding places and secret passages leading from one house to the other, or leading across the street. So in the event of an attack, the town was an impregnable fortress, without having any fortress walls. Every resident of Bansko has built his home according to the finances that he had, but the competition who will build the biggest house for himself, never stopped. Some houses of the National Revival period were decorated and looked like palaces with huge verandahs (the Velyanova house, Hadzhigiorova house, Sharenata house, Beninata house, Sirleshtovata house, Todevata/Buinova old house), while other houses were more modest. But what united them was that all houses were built to remain for the generations to come. People from Bansko have built their houses stable and strongly fortified to resist both siege and attack, and they did not forget to decorate them with frescoes, wood carvings or at least boards that they placed at a visible place in front of their houses, in order people to know who has built the home and who lives in it. Somehow among the Velyanova, Daskareva, Molerova and Hadzhiruskova houses which impress with their wood carvings and frescoes with high artistic value, the Buinova old house remains a bit back when people from Bansko talk about their architectural sights, but this doesn‘t mean that this house is less interesting than the others. The Buinova old house was built in 1864 and nowadays is also called Todeva house, in the name of the owner who built it for himself and his family. Like the other houses in Bansko of this period, the Todeva house is also a double-pane building, built entirely of stone in order to be durable and to be able to withstand an attack. On the ground floor are located the cellar, farm premises and the barn in which the owners kept their livestock. On the upper floor are located the residential premises, which have carved ceilings and doors, and some of the walls have frescoes. There are also the typical only for Bansko premises such as „mesilnik” (this premise was used only for kneading of the bread, which the owners used to knead and bake) and „kashchi” (special premise for other household activities). The covered wooden verandah where the family spent most of their time makes a great impression. The doors of the house are massive and metallic, the windows are protected by metal bars, just like any other house that is built during this period, and the Buinova old house has fortified stone core with a two-chamber hiding place (the plan of the hiding place is similar to the plan of the hiding place of the Hadzhigiorovata house). As the house was built in the middle of XIX century and the architectural style has changed a bit, the fortified core of the house is located on the side in a purposefully built tower. During this period, people from Bansko started to build stone towers attached completely to the main house, and they used them for preservation of the goods and as hiding places, as well as additional building for living. The towers were also massive, entirely made of stone, and fireproof. In a secret place in the hiding place there was a gunpowder place, in case that a defense have to be executed. Nowadays the Buinova old house is declared as a landmark of local significance. How to get to the Todeva/ Buinova old house? If you are a guest of the Lucky Bansko hotel and you want to take a walk, the easiest way to find the Buinova old house is to reach the church „Saint Trinity” which is located in the central part of the town. From there take the „Neofit Rilski“street and a few minutes later you will reach the old house. There is no way to miss it, because on the one hand it is an impressive old building, and on the other hand – it accommodates one of the oldest taverns in Bansko „Winery Todeva house”, where you can try the traditional cuisine of Bansko and a diverse selection of local wines. The thing that is most impressive about this building of the Revival period is not only its construction (in typical architectural style of Bansko), but its unique decorative exterior and interior design. Velyanova house is donated by the people of Bansko to the icon-painter Velyan Ognev, in order the town to show its gratitude to the master for his participation in the icon-painting of the church „Saint Trinity”. The building was built in XVIII century and regarding its architectural style, it has all characteristics of the fortified houses of the National Revival period constructed at that time. After the people of Bansko have donated it to master Valyan, he decorated the façade and the interior spaces with unique frescoes and wood carvings. In 1967 the Velyanova house was declared a monument of culture of national importance. This house of the Revival period was built in XVIII and in the beginnig of XIX century, and it is a typical example of a fortified Bansko house with strengthened core outside the house (in the tower). It was built by the brothers Hadzhiradovi and it is a huge building with three separate entrances in a common yard. Later on the house was bought by the rich family Sirleshtovi from Bansko, and it became their property. The interior and exterior are not different from those of the other fortified houses, except for one thing, in the beginning of XIX century a new hiding place was built in the tower to the house. This hiding place has a few secret passages, as one of them leads to the yard and the other leads to the floor above the tower. It is believed that the Molerova house was built by Dimitur Molerov – son of the founder of the Bansko Art School, Toma Vishanov. The house was built in XIX century and it has been a home to generations of Molerovi. 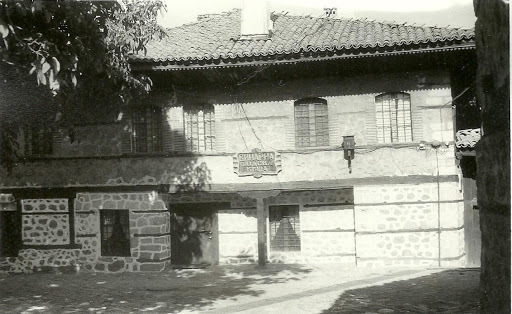 The style of construction is typical for the fortified houses in Bansko, but what distinguishes the Molerova house from all other houses of the National Revival period, is the independent studio (or room for drawing), which is located on the ground floor. In this room, generations of Molerovi have worked on their works and seems like the spirits of the great masters of Bansko are still there. 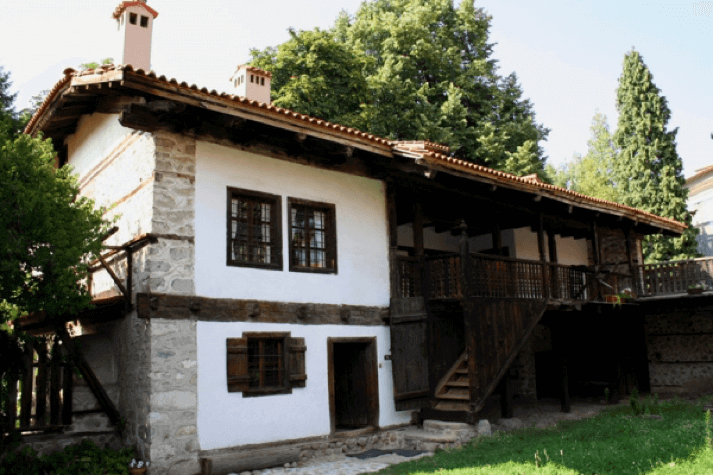 Beninata house is the home of Neofit Rilski and today you can enjoy it as an example of the fortified houses of Bansko, as well as a museum of the founder of the enlightenment Neofit Rilski. The old house of the National Revival period was built in XVIII century and as a typical example of the architecture of Bansko, it has stone walls with battlements, ground floor with various premises, residential floor for the family, wooden stairs and verandah, hiding places. The interesting thing here is that in in the past, the house was a type of monastery school where Neofit Rilski was a teacher. Only in the Beninata house you can see also an interesting way of connecting the residential premises with the farm buildings. There is no other house where the buildings are connected via big outdoor terrace with a verandah. In the museum, which is housed in the Beninata house, there is an exposition describing in details the life and educational work of Neofit Rilski. 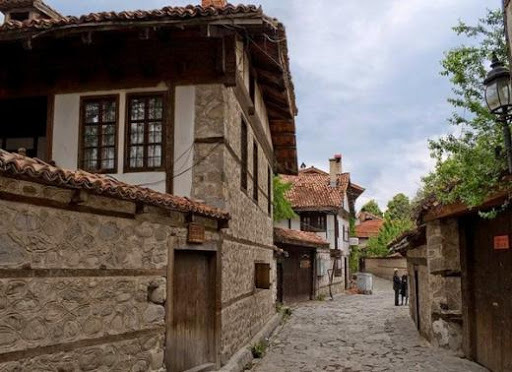 These are only a small part of the preserved fortified houses in Bansko of the National Revival period, but if we have to mention and tell the story of each one, we won’t have enough time. So we tried to tell you some interesting facts about one of the most famous houses, but the decision whether to see all houses is up to you. Whatever you decide, however, find time to see the Buinova old house, because it is one really priceless architectural treasure. There are only a few towns in Bulgaria that can be proud of such historical heritage, therefore, if you are on a vacation in Bansko, don’t miss to light a candle in the “Saint Trinity” church, to bow in front of the monument of Paisii Hilendarski, to see the house-museum „Nikola Vaptzarov” and to visit at least some of the unique fortified houses of the National Revival period such as the Todeva/Buinova old house. Be sure, the feeling of pride that you belong to the Bulgarian nation and in your veins you have the blood of this incredibly talented and proud builders, is worth to be felt. And even better is that after you finish the walk back in time, you can sit on the verandah of one of the many taverns in Bansko and try the delicious cuisine that only here can be served traditionally and with home-made products.